The year is at an end. And with that comes the reflection back on my photographic year. I traveled to many different locations this year and tried to stretch my creative process outside of its usual box. In some regards I succeeded and yet there is still lots to work on. I’ve realized more this year that a journey into landscape and nature photography is long and there’s always something to learn about along the way. With all of my reflection back on my best landscape, scenic, and nature photos of 2012 I feel I’ve progressed, which is the ultimate goal. I have set my bar and now need to surpass it for 2013. I’ve had huge support this year from both friends and family to which I cannot express my gratitude. It was a struggle to choose the best-of-the-best, but I felt it a worthwhile task and I also wanted to be able to contribute to Jim Goldstein’s project for 2012. So to end 2012 and usher in 2013, here are my top 10 photos from this year, in no particular order. It was a brief trip to Grand Teton National Park this Summer. I made a mad dash to a few locations one morning of the trip and Schwabacher’s Landing was one of them. 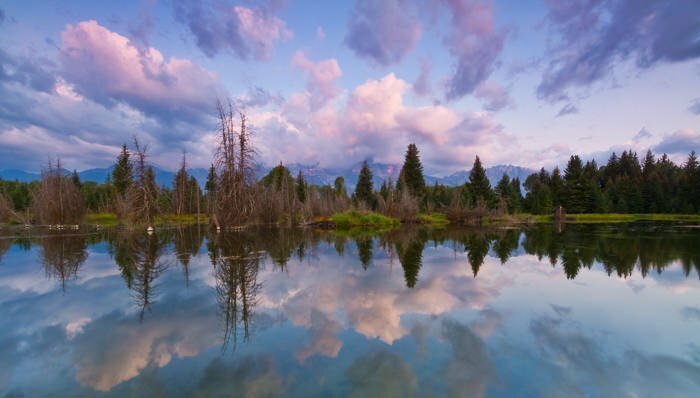 The smoke in the air and clouds covering the Teton mountains prevented the views that I really had envisioned for a great landscape photograph, but nevertheless I was able to pull off this one, which turned out to be my best reflection photograph I’ve taken so far. A return trip is a definite. Maui, Hawaii is a trip to remember. More so for the fact that I got married on this trip though. Aside from that amazing experience was a drive down the Road to Hana. We stopped briefly on the road as we spotted a waterfall off in the distance and a trail to it. 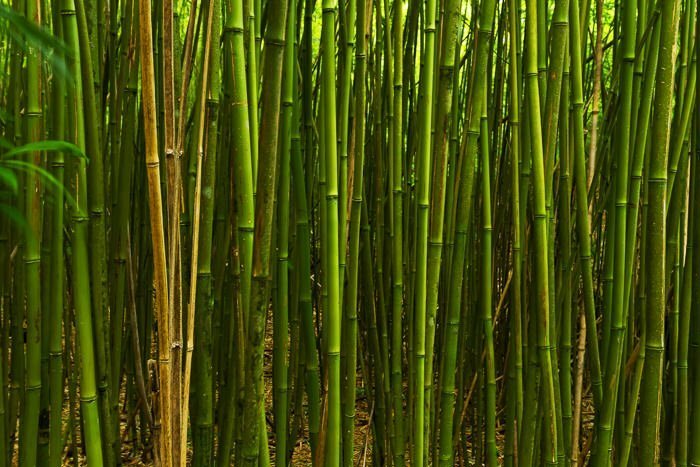 That trail just happened to run through a bamboo forest, which was one of the main items I wanted to photograph while there. So while getting drenched from the rain, I was able to capture this. I hadn’t planned on shooting this well-photographed icon in Zion National Park, but the weather wasn’t cooperating initially the majority of the day. As I drove across the bridge and glanced back, something stuck out in my mind. I had a feeling that something was about to happen. So I grabbed the camera and walked back to take a look. Not more than a couple minutes had passed when the light exploded. I wasn’t fully prepared and dashed back to grab the tripod and filters. In the end I was happy to capture this and see what I saw. 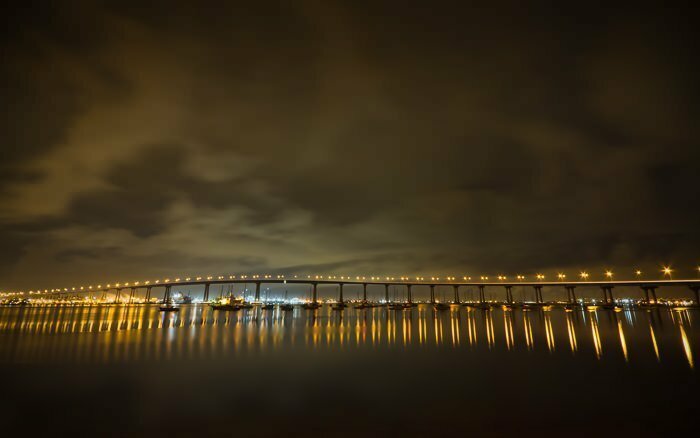 Photographing a city like San Diego at night seemed a worthwhile endeavor in late January of 2012. It was slightly rainy and slick to say the least while climbing over the tidal rocks. While exploring the views of the city from Coronado, I glanced back at the bridge and this was laid out in front of me. It was instantly one of my favorites. 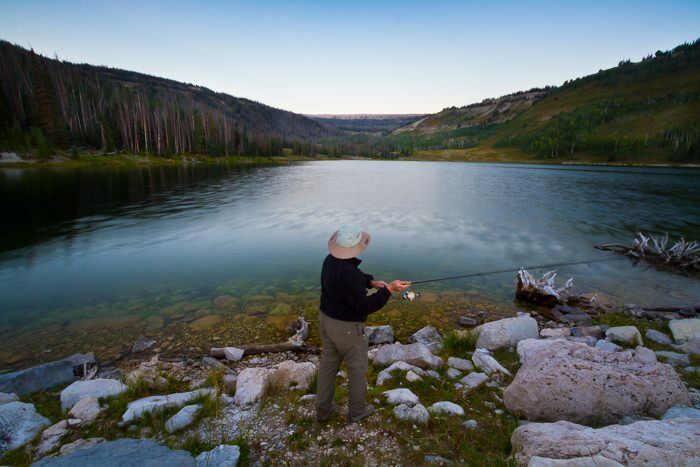 Fly Fishing and fishing photography is a love of mine. I don’t get the chance very often to do so, but I seize every opportunity I can. This is also a break from my typical photographs in that it included a human element in it. In this case my brother. The sky wasn’t amazing and the light faded quickly this morning, but the shapes in the image amazed me and it all came together. 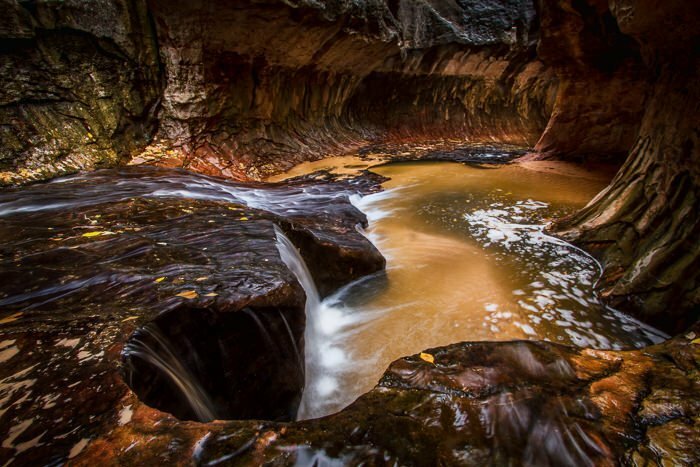 A trend this year is some of my best images coming from a Fall trip to Zion National Park. A good friend joined me on this excursion and it was iffy that making it to The Subway was even going to happen. We braved the snow anyways, and after a much more grueling hike than I anticipated, we arrived. I have seen many photos of this spot, but it is something else to experience. I’m glad that now I can share my own personal take on this amazing natural landscape wonder. I had a feeling the day that I took this photo that the light would turn out amazing. On my way to my main location above the Salt Lake City Capitol building, I stopped briefly to snap a few shots of the scene. To date, this is my best photo of the Capitol building. Everything from the light to the processing of this image came together for me. 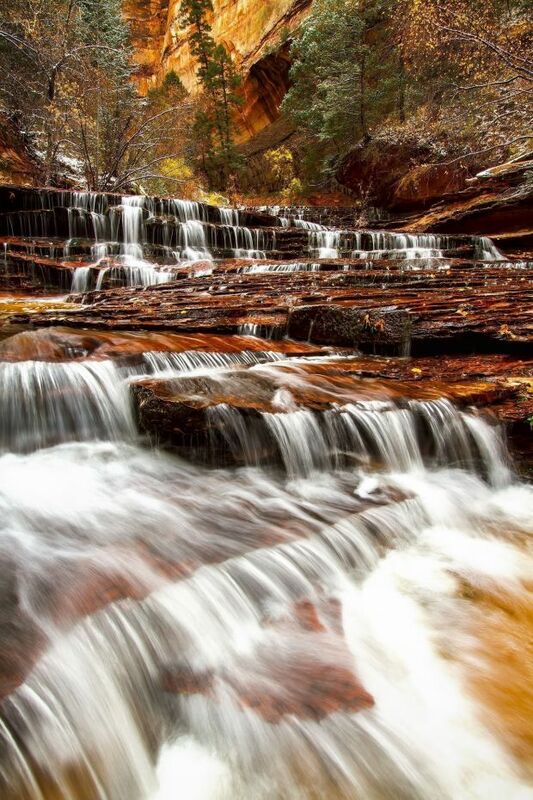 Archangel Falls, or as I’ve also heard called Red Falls, in Zion National Park is simply breathtaking. The multi-tiered sandstone ledges make for endless possibilities for a landscape photograph and I’m still wishing I had shot different views of this. The snow was coming down again though and we didn’t want to risk getting stuck in the canyon with weather like we were having. When you’re stuck in an airport overnight with an early flight the next morning, what better to do than create some amazing imagery. On our return flight from Hawaii, we had the misfortune of being stuck in the San Jose airport for the entire night. It wasn’t the most comfortable situation for sleeping to say the least, but I made the best of it and wandered the airport grounds with my camera instead. 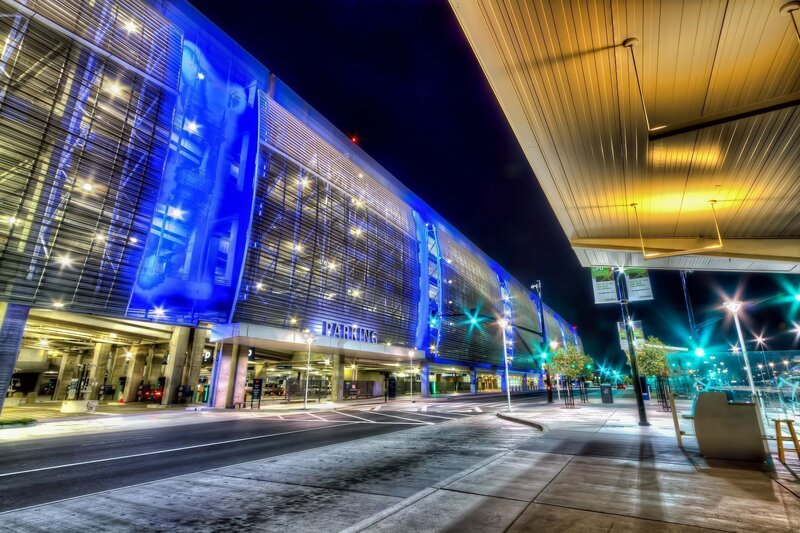 I have to say this is a wonderful airport to see at night and definitely fitting for the technological area in which it resides. 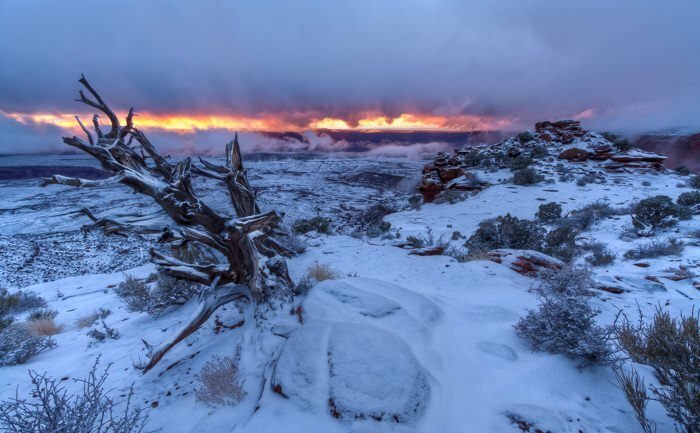 I made an early Spring visit to Canyonlands National Park in hopes to come home with some great landscape photographs. Even though I’ve lived in Utah my entire life, I’ve never spent any time in Canyonlands National Park until this short two-day visit. And as luck would have it, it dumped snow on the park for a day and a half. I wasn’t too disappointed though as I figured it would give a different perspective on this dry, desert location. Another bit of luck was a gap in the clouds just at sunset one evening. It was surreal experience to see this unfold. And so there are my Top 10 photos from 2012. I hope you enjoy taking a look at them as much as I had photographing them. Thank you for spending the time to view these and here’s to a wonderful new year and my best wishes to you all. 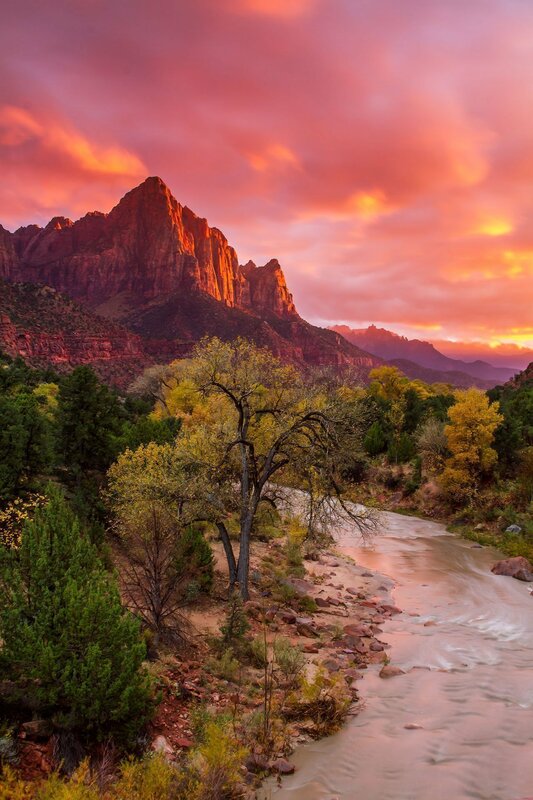 Looks like Zion treated you very well – beautiful set of images here. Congrats and best of luck in 2013! Hi Clint, just coming over from Jim’s post and slowly working my way through the list 🙂 Some stunning work from you, looks like it was a great year. Thank you for the compliment John. I appreciate it. 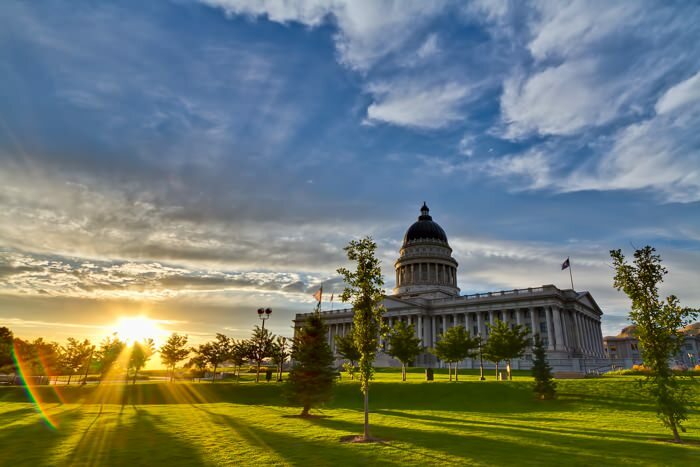 Thank you so much – the picture of the Salt Lake Capitol is impressive. Very beautiful! Thank you Benjamin! Much Appreciated. Well Clint, must be honest….the only thing I did not like about your photographs is that I didn’t take them. I have only one word to describe your work….AWESOME !!!! Thank you for the comment Anthony. I really appreciate the kind words.